Recently the newly formed Pac-12 has landed the most lucrative tv deal in college sports. SI.com reported that the Pac-12 agreed to a 12-year television contract with Fox and ESPN on Tuesday (May 3) worth about $3 billion. Second year commissioner Larry Scott has spearheaded a marketing blitz aimed at bringing the often dismissed conference – specifically in regard to national prominence in the FBS Division I-A landscape, where teams have previously incurred the stigma of playing in a soft conference highlighted by finesse offenses and mediocre defenses – into the conversation with the likes of traditional power conferences such as the SEC, Big-10, and Big-12. This latest deal will help Scott and the Pac-12 counter media bias in terms of voting in the football polls, attracting top level recruits and coaches, and padding their bottom line when it comes to athletic program budgets. Larry Scott is gold. The commissioner was hired to drag the sleepy Pac-10 out of its past and rocket it toward a lucrative future. In less than two years, he delivered big time. … Scott reshaped and repackaged his conference in such a way that it became the most lucrative league television property in history. The celebrated new-kid-in-town is no stranger to building brands in athletics at the professional level. For six years prior to his current post, he served as Chairman and Chief Executive Officer of the Sony Ericsson WTA Tour (Women’s Tennis Association), where he helped generate unprecedented growth and popularity for women’s professional tennis on a global scale. Scott couldn’t have timed his leap into the big money world of amateur* Division I athletics any better. Before Chip Kelly and The University of Oregon exploded onto the scene with their light speed (everyone-wants-to-know-how-they-do-it) attack, Andrew Luck helped Jim Harbaugh lead Stanford University to a top 5 finish in 2010, the steady improvement of the Arizona Wildcats, and the enthusiastic optimism of the Washington Huskies, there was USC – the original PAC-10 juggernaut. If Scott’s recent marketing efforts (expansion and tv deal piggybacking improvement of multiple programs) are any indication of the direction the conference is headed (and the future of financial incentives driving college football), it is safe to say that the increased exposure and image branding for the Pac-12 will help to further thrust them into national prominence. Take a look at some of the latest productions put together by Scott and his team, laying the foundation for ascension into the national spotlight, and hopefully, for Scott and the Pac-12, continued talk surrounding contenders like Oregon, Stanford, and more for the BCS National Championship. 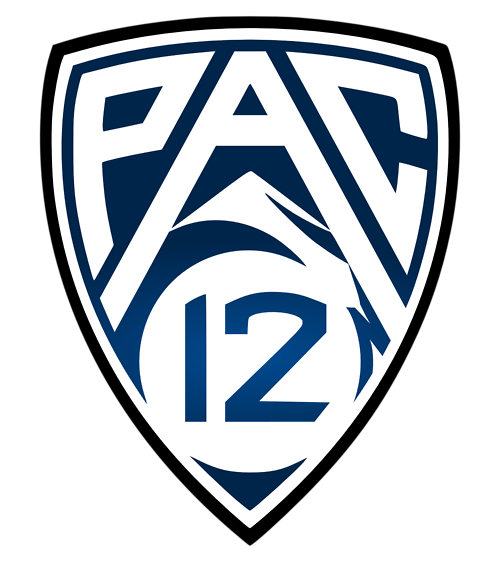 Okay, maybe the second video could be toned down a bit in overall spirit and funk (think SNL cheerleaders, Will Ferrell and Cheri Oteri) but the message is clear – the Pac-12 will be in your face and here to stay. The official Pac-12 website displays the corresponding schedule for the new deal between the major networks ESPN/ABC to air 20 contests with an option for Fox Sports Net to select additional games for broadcast as early as June 2011. 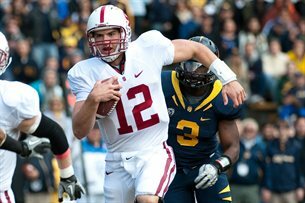 WALNUT CREEK, Calif.–Pac-10 Conference television partner ESPN/ABC will provide extensive coverage of Pac-12 football in 2011. ESPN and ABC will combine to televise 20 games from Pac-12 sites. Some of the games to be televised are selected prior to the season, others will be selected as the season progresses with picks made either six or 12 days prior to the games. Additional telecast selections by Fox Sports Net/Versus/FX will be announced in early June, 2011. Following are games involving Pac-12 teams that have been selected by ESPN/ABC for television as of May 10, 2011. A unique clause that should help to promote the competitiveness of the new conference allows the participating networks to reserve 5 “open” dates on the schedule. By selecting games with high intrigue and/or games with national significance the conference continues to get increased positive national exposure. This exposure will culminate with a football conference championship game, increasing the chances of the Pac-12 having further stake in the BCS fight at the end of the year … hopefully putting to rest the notion that the conference is anything but soft.